For Heat Treating Industrial Valve Parts And Various Tool Steels - L&L Special Furnace Co, Inc.
L&L Special Furnace Co., Inc., has supplied an electric box furnace to a plant located in Louisiana that is a global supplier of large industrial valves for various industries. This is the fifth L&L furnace supplied to this facility. The furnace is used to both heat treat and temper various rings and seals deployed in the manufacturing of valves used in the power-generation field. It is also used for general heat treating of various steels prior to machining. The furnace has an effective work zone of 34” wide by 34” high by 32” deep. A complete digital control system, overtemperature protection and temperature recorder are included. There is also an audible alarm to signal an overtemperature or event condition along with a NEMA12 panel with fused disconnect. 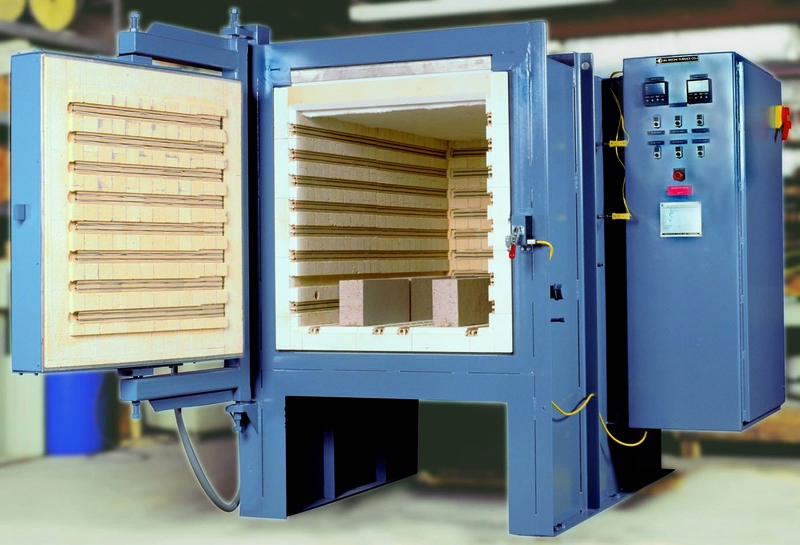 The furnace door is a horizontal-style door with a double pivot that allows for the hot face to be kept away from the operator.